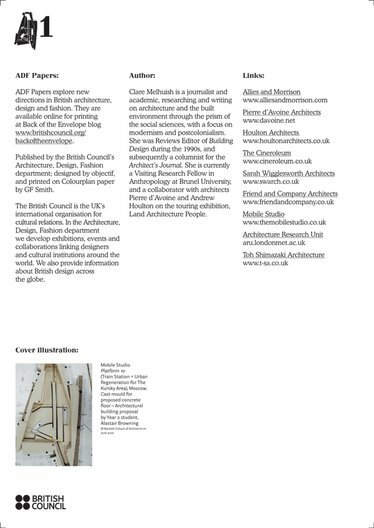 The ADF Papers explore new directions in British architecture, design and fashion. 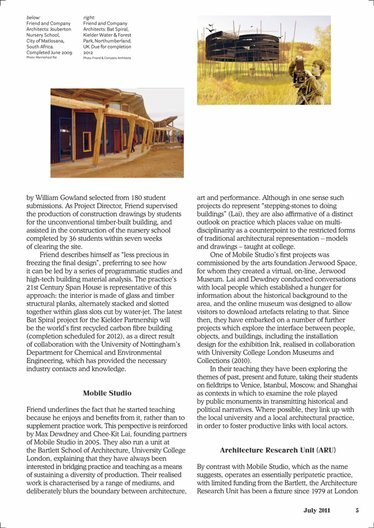 Series 1 includes papers by Clare Melhuish, Liz Farrelly and Johanna Agerman Ross. 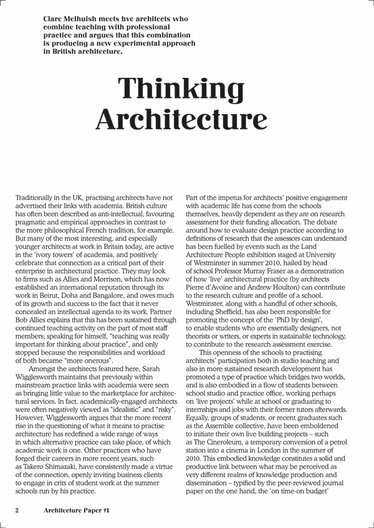 Clare Melhuish meets five architects who combine teaching with professional practice and argues that this combination is producing a new experimental approach in British architecture. 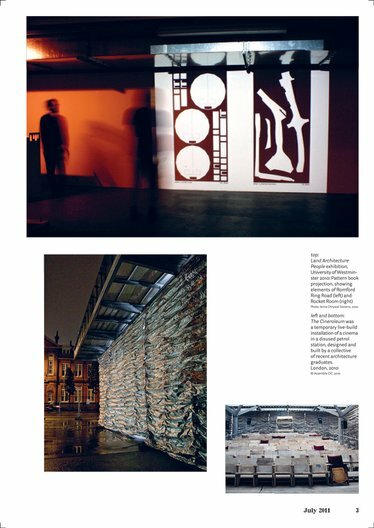 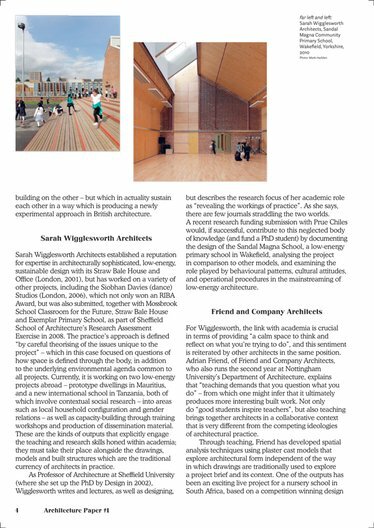 Paper A1 includes the following case studies: Sarah Wigglesworth Architects, Friend and Company Architects, Mobile Studio, Architecture Research Unit, and Toh Shimazaki Architecture. 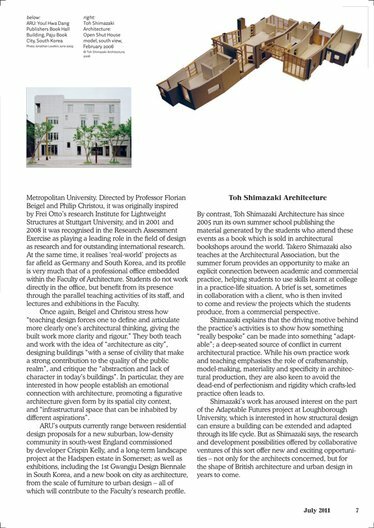 Follow this link to read and print the paper. 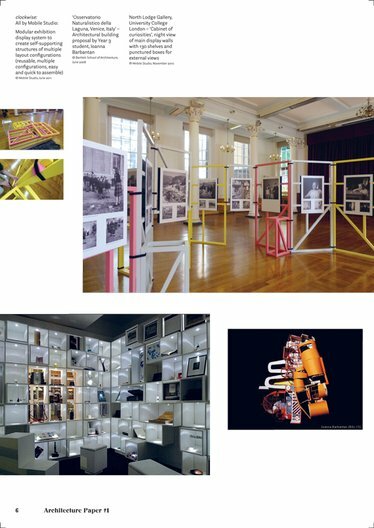 To read about the other papers in the series follow these links: D1: Design Collectives and F1: Graduating Talent.